Some 50 "yellow vest" protesters were detained on Saturday in the Belgian capital of Brussels, Sputnik reports. According to RTBF broadcaster, the detentions were made in Luxembourg square, near the headquarters of the European Parliament. The "yellow vests" planned to march toward the so-called European Quarter, where other EU institutions are located. This is the third rally of "yellow vests" in the Belgian capital. Two previous unauthorized actions resulted in clashes with the police. This time the event was officially allowed, but significant police forces were still placed at the scene. 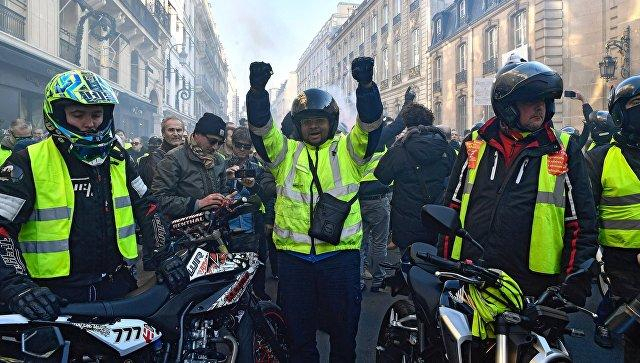 The protests in Belgium followed weeks of similar "yellow vest" demonstrations against fuel tax hikes raging in France since November 17. Last Saturday, more than 400 people were detained in an unauthorized "yellow vest" rally in Brussels.